‘Like Suing Hitler’: This ‘toad-like’ leader has over 209,000 lawsuits piled up against him—who is he? Who is the silliest and most evil political leader in modern history? Most people would say Kim Jong-un since news coverage of his absurd nuclear ambitions are widely reported by the mainstream media. But, other than Kim Jong-un, there’s a shameful Chinese leader who is utterly beneath contempt. Born on Aug. 17, 1926, former Chinese leader Jiang Zemin has a broad mouth, and wears a thick, square-rimmed glasses over his small, sneaky eyes. Attributable to his “toad-like” appearance, clumsy manners, and penchant for donning high-waisted pants over his bulging belly, the 91-year-old Communist Party official has been given the nickname “toad”—otherwise known as hama (蛤蟆) in Chinese—by netizens. Judging from his foolish and crafty outward form, the “toad-like” Jiang is a sly and ludicrous tyrant. He is outrageously lavish and corrupt. “He spent 900 million yuan (over $US 110 million) to buy a luxurious plane for his use. Jiang often drew money from public funds, by the tens of billions, for his son to do business,” the Nine Commentaries on the Communist Party wrote. And he lives a lustful life, having many mistresses, including military singer, Song Zuying. After the inception of a new law—which allows citizens to lodge criminal complaints against a current or retired Party leader—by China’s Supreme People’s Court on May 1, 2015, unprecedented lawsuits against Jiang began to pour in. As of July 15, 2016, over 209,000 Chinese citizens have filed lawsuits against Jiang for his atrocious cruelties, according to incomplete data compiled by Minghui.org. He has also been sued for genocide, torture, and crimes against humanity in 30 countries and areas, including United States, Switzerland, Australia, Belgium, Spain, Taiwan, Hong Kong, Germany, and Canada. This wave of lawsuits against notorious Jiang, comparable to the suing of Hitler after World War II, became the largest international human rights lawsuits of the 21stcentury. So, what heinous crime did this senseless Jiang commit? During his tenure as the leader of the Chinese Communist Party from 1989 to 2002, Jiang did immeasurable damage to China, and committed the silliest offense by launching a brutal persecution to eradicate Falun Gong, an ancient cultivation practice based on the values—Truthfulness, Compassion, and Tolerance, on Jul. 20, 1999. 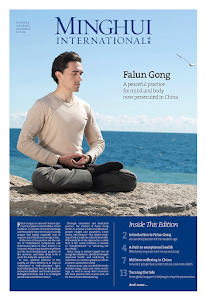 Initially, most high-level officials in the Chinese Communist Party (CCP) refused to stamp out Falun Gong, as they know the practice improves people’s health, and uplifts their morality. But, the foolish Jiang insisted, out of his personal jealousy, and fearing the 70 – 100 million Falun Gong adherents—coming from all institutions and at all levels of society—would pose a threat to his party’s authoritarian rule. “Can it be that we Communist Party members, armed with Marxism, materialism, and atheism, cannot defeat the Falun Gong stuff?” Jiang wrote in a letter to top Party members, The Epoch Times reported. As a result of his imprudent decision, ten of thousands of Falun Gong practitioners are being tortured inhumanely in prisons, detention centers, mental hospitals, and labor camps without trial. 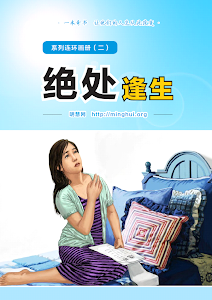 Hoping to eradicate Falun Gong, the wicked Jiang has gone completely over-the-top. He mobilized military police, public security bureaus, special agents, and poured huge amounts of resources for his terror campaign. To turn public opinion against Falun Gong, he blatantly spread lies in the international community, and utilized the CCP’s overwhelming propaganda machine to disseminate slanderous fabrications about the practice to the whole world. 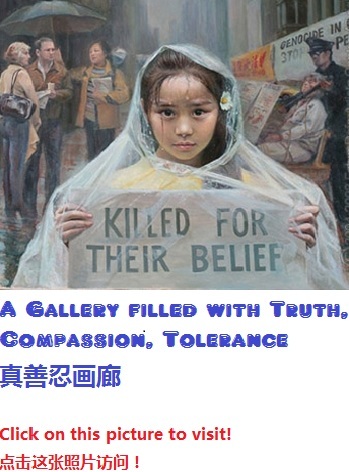 The most hideous was the staged “self-immolation” incident on Tiananmen Square on Jan. 23, 2001, which was broadcasted endlessly on TV to frame Falun Gong. The incident has been proven by NGO International Education and Development Agency at the United Nations in Geneva, as a government-staged plot to deceive people. Hence, Chinese Communist authorities can do whatever they want with Falun Gong adherents. They harvested their organs forcibly, and sold their bodies to plastination companies, including von Hagens’ corpse factory in Dalian—for profits. 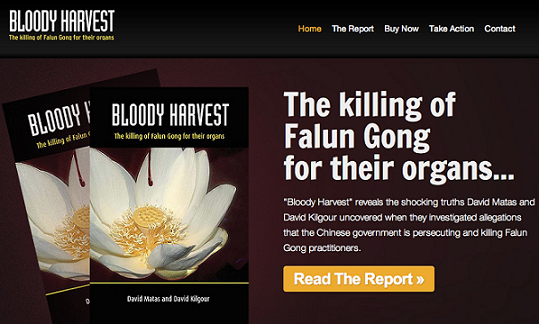 Ethan Gutman, renowned UK-based investigative writer and researcher, said an estimated 65,000 Falun Gong practitioners have been secretly killed for organ transplantation. In fact, former Minister of Health for the Chinese People’s Liberation Army (PLA) General Logistics Department, Bai Shuzhong, revealed it was Jiang, who ordered the organ harvesting, in a September 2014 undercover investigative call conducted by the World Organization for Investigating the Persecution of Falun Gong (WOIPFG). “Back then it was Premier Jiang … there was an order, a sort of instruction, that said to carry out such things, organ transplantation. … Because back then after Premier Jiang issued the order, we all did a lot of anti-Falun Gong work …,” Bai said in the telephone conversation. To keep the persecution on the hush, Jiang enticed foreign governments, and international media with political, and economic incentives. However, in spite of Jiang and Chinese regime’s efforts to cover up their deeds, no lie can live forever. 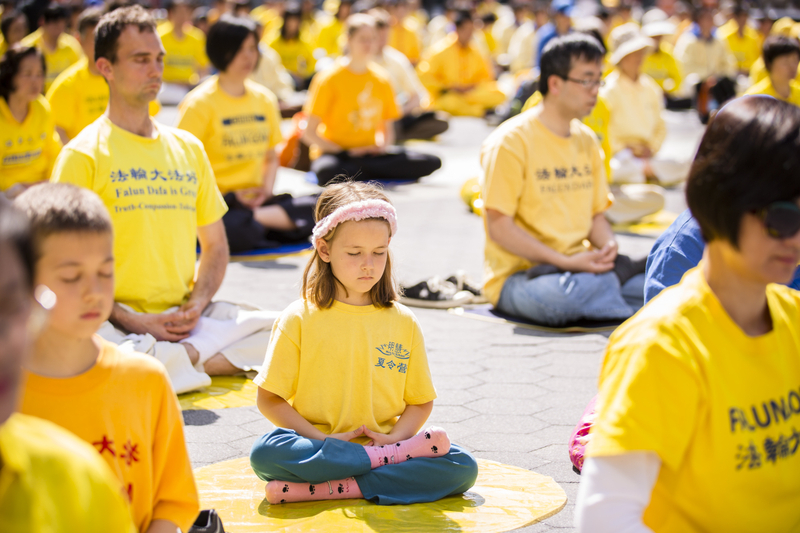 For more than 18 years, Falun Gong practitioners around the world have been tirelessly clarifying the truth, and exposing the persecution to the international community. “So many practitioners’ families have, due to the persecution, been broken up; some have been killed for their organs, so how can we remain indifferent?” said Hong Kong millionaire interior designer, Zhu Keming. Zhu was one of the first person to file a criminal complaint against Jiang with China’s highest courts on August 25, 2000. Ultimately, good will triumph over evil. Based on the flood of lawsuits against the tyrant coming in from China and abroad, it is only a question of when, not if, Jiang Zemin and his gang will be held accountable for their historic crimes. Now, the “toad” is undoubtedly in boiling stew! He must be crouching in fear awaiting his 92rd birthday.